When I was an undergraduate, I took a Shakespeare class as one of my English major requirements (as many of us do). I was also simultaneously taking a pre-1800 course where we read work by Milton, Chaucer, and the like. As a result, I found myself thinking in iambic pentameter. I can’t even conjure it now. I wish I could. My Shakespearean thoughts only arise when I read Shakespeare (which I haven’t for years). What was that about? It seems so obvious now: when you read, the words get in your head. And when the words are in your head, they are more likely to wind up on the page. Plus, other writers can often be a manual. You want to do something, but don’t know how. Look to them. They’ll help you write, too. As you make your way towards the weekend, feel free to use this Writer’s March as an excuse to buy yourself a new book. Hell, make it a hard cover. Here’s a handful of suggestions (very random suggestions, I might add). I put them into three categories because I think its good to read a writer who graces through the things we struggle with. Feel free to also post a few of your favorites. 1. 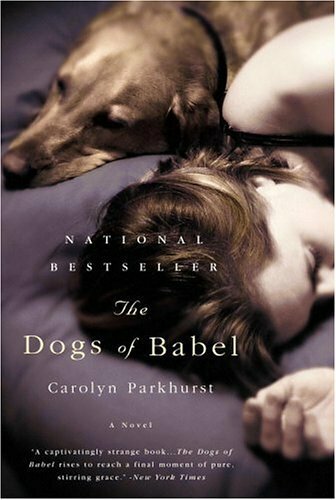 Carolyn Parkhurst’s Dogs of Babel. Here’s a story about grief that reads nothing like grief. A man’s wife dies. The dog is his only witness. He decides to try and teach the dog to talk to find out what happened. The structure of this book is brilliant. Chapters alternate between the present action (this scientific attempt to teach the dog to speak) and the past action (the relationship between the man and his late wife), and the result is like a rolling snowball. It builds and builds and you can’t put the thing down. If you are having trouble integrating back story, this might be the novel for you. 2. 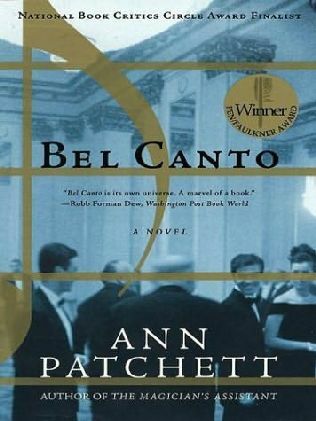 Ann Patchett’s Bel Canto (Although I also love the Magician’s Assistant–perhaps my favorite book, and am also a huge fan of Truth and Beauty, a tribute to her friend, the writer Lucy Grealy). What I love most about Ann Patchett is her belief in story. She is a writer who, for me, doesn’t have a lot of bells and whistles. It is about the characters, the obstacles, and a fine example of what happens when you (as a writer) put a lot of different characters in the same room and let them dictate what happens next. Bel Canto, based off of a true news story, is a fine example of how to take a complicated situation with complicated characters and let the plot unfold around them. It is also, a really amazing example of how to begin a novel in the middle of action and weave backstory in without losing that forward momentum. 3. You’re going to shake your head at me (and maybe not trust my opinion any further), but who cares. I stand by what I am about to write. J.K. Rowling. Harry Potter Series. 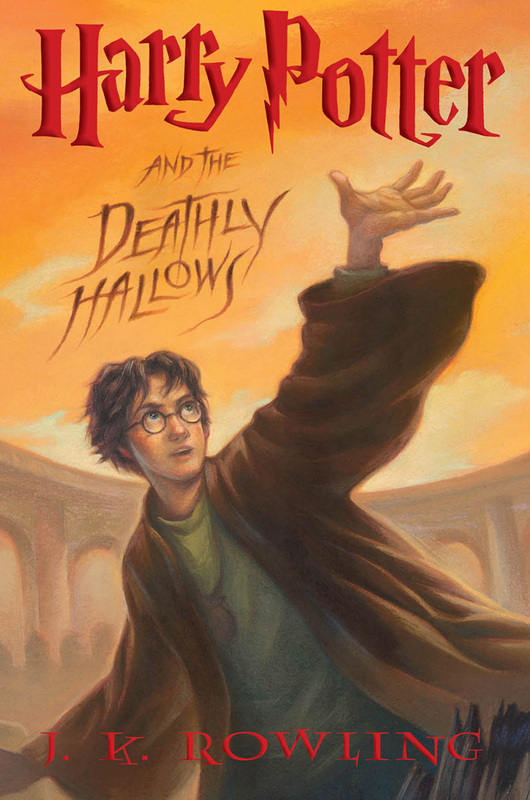 Once, when I was really stuck in my writing, I picked up the 7th installment in her series, The Deathly Hallows. I’d never read Harry Potter like a writer before (only as a fan consuming the pages like tasty, tasty candy) and when I was several hundred pages in, I found myself confounded. Talk about momentum and talk about story. SEVEN books! And the seventh one over SEVEN HUNDRED pages long (and yet when I read it on the first go, I finished it in more or less one sitting). More than that, she writes these wonderfully long, ever-changing scenes. It was a lesson for me in sustaining tension. I even took the structure of one of her chapters and mirrored it in one of my chapters. The result was one of the most important scenes of my book. 1. Summer Wood’s Wrecker. Newly released. (Though her first book Arroyo is also fantastic.) 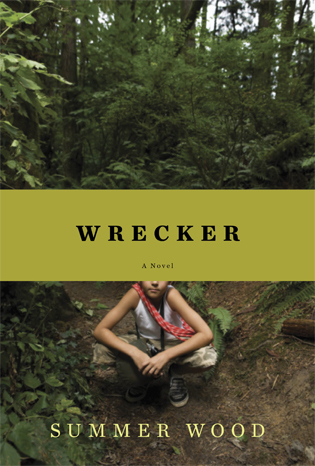 Both of her books look at the way communities rise up within a space and the conflicts that exist between people, each other, and the land they occupy. In her writing, the landscape becomes alive. I can’t read a page of her work without feeling the repercussions in my prose, particularly when I’m writing a conversation between two characters and I’m looking at how to navigate the space between the dialogue. (In other words, what can you write instead of writing “he paused,” “she sighed,” etc. Here’s a tip I got from Summer: try activating your setting). Also, Summer Wood writes a character description like you wouldn’t believe. 2. 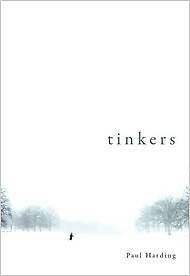 Paul Harding’s Tinkers. Just won the Pullitzer Prize. I don’t know what to say other than to read it. It goes well beyond the physical senses. Beautiful language. Beautiful story. In this book, a diminishing setting (both an external and internal landscape) work to bridges time and a generational gap. And the language! Stunning, moving, enviable. Inspiring. 3. Wally Lamb’s She’s Come Undone. The beginning of She’s Come Undone does an amazing job of setting up a specific time period and place without having to talk about which time period and which place. With such a long book, the set up is what makes the book such a compelling read. 1. Michael Cunningham’s By Nightfall. Can I just say genius? A lot of people have read The Hours, but I’m going to make a plug for this one, his newest book. Present tense. Beautiful prose. Moving story about a contemporary middle aged couple in New York City. For me, the genius lies within the commentary on art that Cunningham weaves seamlessly throughout this narrative. It is the book that moved Michael Cunningham from a writer I liked to a writer I aspire to be. 2. 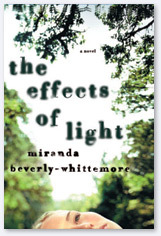 Miranda Beverly Whitmore’s The Effects of Light. This is a debut novel that uses photographs to provide a commentary on femininity and sexuality that I think is really thought-provoking. Though I found the story to have a few flaws, as a whole, it is an amazing, accessible example of how the things we puzzle about can be integrated into our stories. If I remember correctly, in her thank you page, she made a special mention of conversations she shared with her mother. Those conversations helped to shape much of this book’s thematic insight. 3. 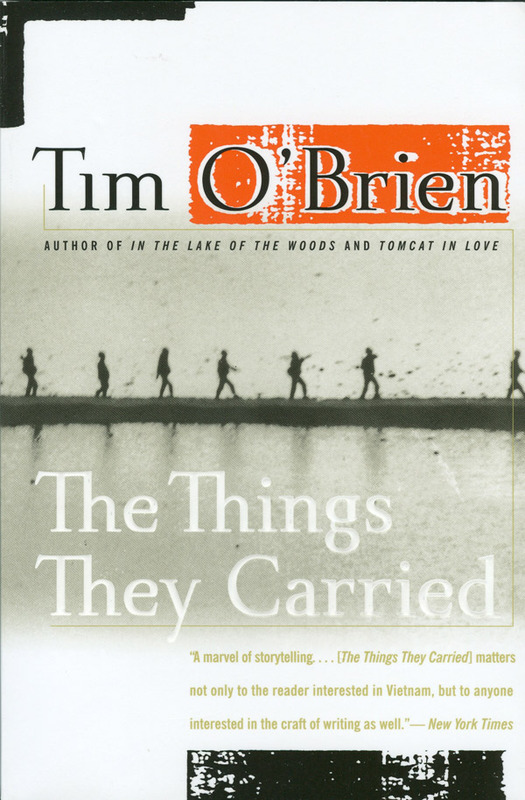 Tim O’Brien’s The Things They Carried. How do you make a war story read like something that has nothing to do with war and everything to do with humanity? Study O’Brien and you’ll be a step closer to finding out. I’m in the middle of reading his stories now.